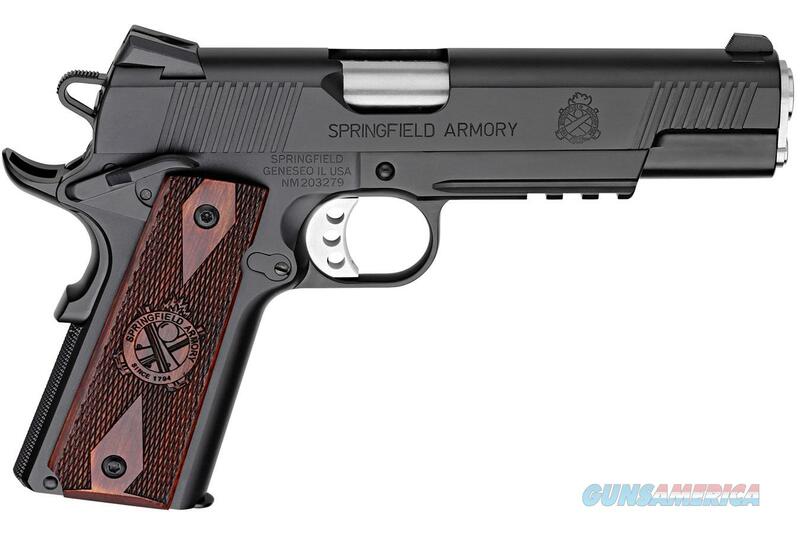 The Springfield Armory is world renown for producing some of the finest 1911 pistols on the market today. Every firearm aficionado should have at least one Springfield 1911 in their collection of defensive tools. If you can own only one, the Springfield Armory 1911 Loaded is packed with features that are ideal for duty, defense, competition, and even concealed carry. The Loaded Lightweight Operator brings you the features you would expect from a custom 1911 without the custom price tag! It's constructed with a forged carbon steel frame with an integral accessory rail and a match grade barrel for flawless performance. Springfield's iconic Cross Cannon cocobolo wood grips with double diamond checkering look great and provide positive traction in adverse conditions. The lightweight Delta hammer, long aluminum match grade trigger and ergonomic beaver tail grip safety give you enhanced handling that makes the Loaded Operator an absolute joy to shoot. A crisp clean 5-6lb trigger pull and 3-dot Tritium low profile combat night sights will put more shots on target faster than ever before. There is a reason why true firearm aficionados and defensive gurus choose a 1911 to defend their loved ones, and the Springfield Armory 1911 Lightweight Operator is one of the best you can own.